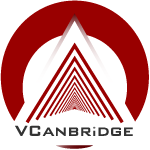 VCanbridge Technologies Inc. is a software company that focuses on website development, ecommerce, and mobile applications. Focus on quality and operational excellence, while offering competitive pricing. Our roots originate from Cambridge, Ontario. Back in 2009 VCanBridge started as an outsourcing and subcontracting company and provided a wide range of services. Today, we continue to provide software & web development outsourcing and subcontracting to agencies and firms such as yours. Since 2013, our software development services became more open to the public. More Canadian businesses can now enjoy our affordable and high quality services. VCanBridge is committed to helping our clients achieve their business goals. At VCanBridge each member of our team is dedicated on bringing you the results you want. With proven expertise in diverse technology platforms our staff have rich experiences in many types of industries. If your businesses are in the following industries we can help. VCanBridge has deep expertise in all aspects of the clients' businesses and technology environments. This enables us to not only program software but to provide suitable and integrated solutions. We align your data infrastructure with your business requirements.